Available in hardback by Hale Books from 30 June 2014 and in e-book from August 2014. Available in Large Print and Audio from Magna. Don’t miss out on this gritty and haunting new First World War novel which forms a trilogy with Cherrybrook Rose and A Bouquet of Thorns. A must for all Tania Crosse fans! On the very day Rose is celebrating her sixtieth birthday with her family and friends at Fencott Place on Dartmoor, Archduke Ferdinand and his wife are assassinated in far-away Sarajevo, leading to the outbreak of The Great War. Rose's spirited younger daughter, Marianne, had taken a vow of celibacy some years earlier, and sees the war as an opportunity to prove that she can be as capable as any man. But will she be able to keep her vow, and what tragedies will beset her and her family and friends in these terrible, dark times? And who is the strange figure from Rose's past who is bent on destroying the family even when the war is over? 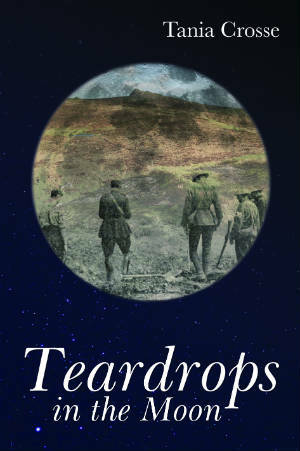 This powerful, dramatic and evocative story will take you from peaceful Dartmoor to the war-torn battlefields of France, from love, courage and loss to the demon of revenge. You will discover the fates of all the characters from the earlier novels and see how they link up with the 1950s sagas and beyond.